Thanks to rapid and relatively inexpensive techniques, anything that can be swabbed, scooped and sequenced is fair game for bacterial community analyses. And, microbiome-mania aside, we are still discovering incredible things about the invisible microbial world everyday. Fellow microBEnet author David Coil has suggested that it is timely to collate the wealth of information that has resulted from the Alfred P. Sloan Foundation program of the Microbiology of the Built Environment, using network analyses (amongst others). We recently undertook a similar task, reviewing the literature on animal gut microbiota; also using network analyses to find patterns and gaps in the current knowledge (Pascoe et al., 2017). Network graphs from our Pascoe et al., 2017, available at ISME Journal, analysing the interdisciplinarity of gut microbiota studies on a) domestic b) model and c) wild animals. 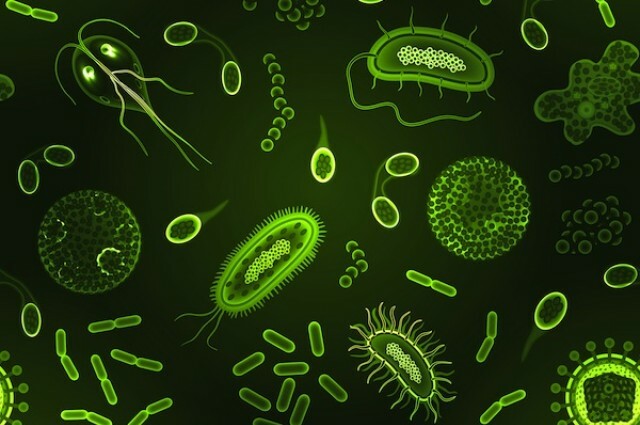 Early gut microbiota studies were mostly focussed on humans, however there is now a rising number of studies on non-human animals. But why the shift in focus? We reviewed 650 studies on animal gut microbiota published between 2009-2016 to find out why. Network analyses were the perfect tool to not only visualise, but also quantify the interdisciplinarity of the literature, based on concepts presented by Leydesdorff (2007). Of the studies we reviewed, 48% looked at the gut microbiota of domestic animals, including cows, pigs and chickens, mainly to improve nutrition and growth, i.e., for economic interests. However, humans are never far from the minds of researchers; 38% of studies used animals as a model system for human health, addressing a whole range of questions (we identified 34), including some which were pretty innovative, such as, can the microbiota be used as a biomarker to predict liver transplant rejection? (By the way, it turns out maybe it can! Ren et al., 2014). Model animals were also the most interdisciplinary studies; network analyses (network density index) indicated that 23% of potential links between research questions were investigated and, in general, research questions were more closely associated with one another than in domestic or wild animals (as measured by the betweenness centrality index). At the other end of the spectrum were studies on wild animals; they were comparatively uncommon (14% of reviewed studies), addressed relatively few research questions (only 22) that focussed on ‘basal’ knowledge (e.g., community composition of microbiota), and finally, interdisciplinarity was low; only 8% of potential associations between these research questions have been explored. Despite the clear differences between domestic, model and wild animal studies, network analyses did highlight some similarities between the groups – diet was consistently a crucial research question, either in terms of its frequency or as a question creating connectivity between other questions or ‘disciplines’. So what did we conclude from our review? Although lab animals do provide us with a great opportunity to perform experiments that we cannot conduct on human subjects (e.g., due to ethical reasons), wild animals may offer a new and exciting model system. Captive animals have a very different microbiota to their wild conspecifics (Xenoulis et al., 2010; Nelson et al., 2013), which is largely down to the fact that, in captivity animals are fed the same diet, and interact with the same individuals, in the same (controlled, often sterile) environment day-in and day-out. Luckily for us, and for non-captive animals, we live a much more varied lifestyle, and consequently we know that lab animals cannot show us the whole microbial picture (Amato, 2013). Even wild animals that are brought into captivity start to show a ‘lab-influenced’ microbiota after just a short time, e.g., lower bacterial diversity (Kohl and Dearing, 2014). It may not sound like a big deal, but it isn’t just the microbiota that is different in lab mice, it’s also, for example, their immune response to pathogens (Rosshart et al., 2017; see also Pedersen and Babayan, 2011). The obvious answer to understanding the role and function of the gut microbiota would be to combine the study of intact wild animal microbiota, with the flexibility and control of lab animal microbiota. A recent study has made steps in producing a ‘wild’ model in the lab; Rosshart et al. 2017 transplanted microbiota from a wild mouse to ‘standard’ lab mice (Germ-free C57BL/6 mice) – wild microbiota was largely retained by lab mice over multiple generations, creating ‘reconstituted’ individuals. Although there has been some incredibly valuable work done on wild animal microbiota, for example determining that parasites and gut microbiota interact in the gut biome, with implications for host health (e.g., Kreisinger et al., 2015), it looks like we haven’t yet taken full advantage of all the opportunities studying wild animals can afford us. Just wondering, based on your analysis here. How much reliability can our immune studies have that have been done (for past 20 years) in non-wild lab mice with systems that we now know do not truly mimic human immune systems? That is a good question! There is some work on ‘wild immunology’ or ‘ecoimmunology’ which have tried to address this (Pedersen and Babayan 2011: DOI: 10.1111/j.1365-294X.2010.04938.x is a nice place to start). Personally I think that lab studies will always be valuable, thanks to the high level of control they afford us, but I do think it is wise to at least be aware and open about their limitations in providing us with ‘real world’ answers. I guess as with any branch of research, there are pros and cons to each approach!